Appointed in July of 2018 as Interim CIO, Steve leads the IT Services area of SUNY Oneonta. He supports the mission and goals of both SUNY Oneonta and SUNY through the development, deployment and integration of information technology to advance the mission of the College. Responsibilities include oversight of operations, strategic planning, personnel and financial management and planning. He is responsible for reporting, metrics and key performance indicators for IT as well as the execution of regular assessments of user feedback and communication of the future of IT services on campus. Learn more about IT at SUNY Oneonta at http://www.oneonta.edu/its. Steve earned a dual BS in Computer Science and Chemistry from SUNY Oneonta where he has been working in Information Technology Services for 22 years. Steve began his career in 1996 working as an Academic Computer Support Specialist/Web Coordinator providing technology support and training for faculty. Over the years he has taken on various roles with increasingly more responsibility within the IT organization. He worked 2 years in the TLTC as a Technical Support Associate/Web Coordinator. In 2000, Steve became the Manager of Academic Computing. He worked in this title until 2007 when he became the Director of Academic Information Technology Services. 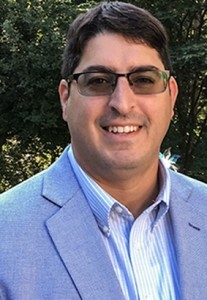 In 2011 he was appointed Director of IT Customer Support where he provides customer focused forward facing technology services for students, faculty and staff at SUNY Oneonta. Steve has participated in many leadership and professional development programs. He is a recent graduate of the SUNY CIO Leadership Academy (SUNY SAIL Institute). He completed the 2013 EDUCAUSE Management Institute, the SUNY Oneonta Leadership Development Program (2012) and attended a workshop titled, “Making IT Organizations More Effective” (Educause 2008, Sipher, Haile). He received an employee recognition award in 2002 for Excellence in Supervision. Steve is active in community service where he resides in Cobleskill, NY; Volunteering his time with many youth organizations. The State University of New York is the largest comprehensive university system in the United States. SUNY was created out of a commitment to opportunity and access, and designed to meet diverse needs across a vast geographic landscape. A primary purpose of the Council is to lead coordinated information technology initiatives within the SUNY system, including strategic planning. Each SUNY campus is represented in the CCIO by an individual appointed by the campus President. Most commonly, this is the highest-ranking IT executive at the campus.